Pulse One makes box-by-box management a thing of the past. Administrators can now use its intuitive, role-based web console to centrally manage remote, mobile and campus access policies, report on appliance health and endpoint compliance, and update appliances by group. Pulse One, available as a cloud-based or on-premises appliance based management platform, is designed to streamline access management of enterprise services and applications in the datacenter and the cloud. 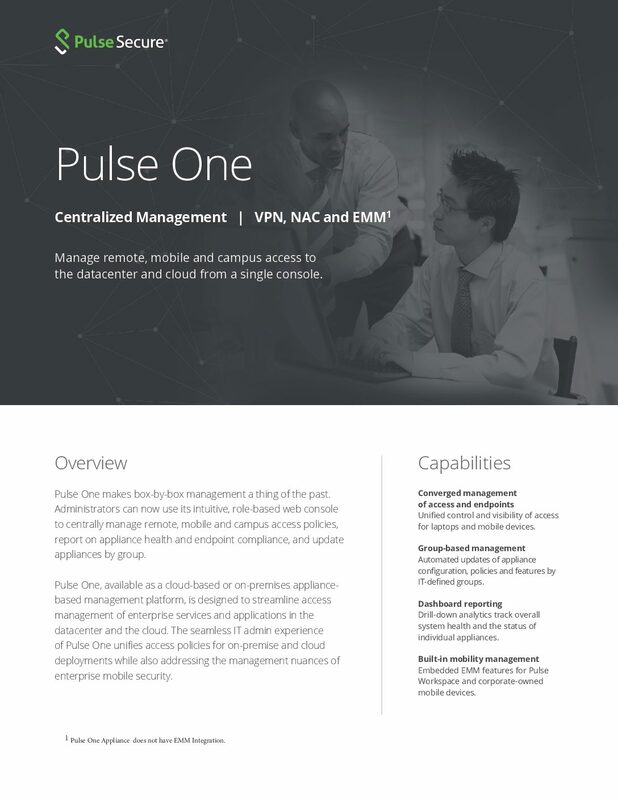 The seamless IT admin experience of Pulse One unifies access policies for on-premise and cloud deployments while also addressing the management nuances of enterprise mobile security.